This workshop is not currently being offered. Spots are limited, so book now! There is no need to be daunted by the technicalities of printmaking, because many of the printmaking processes are very straightforward and easy to grasp. In this workshop, you will be taken step-by-step through the technical details of lino cutting and printing. There will be prints available which will provide inspirational examples in the lino print media. Once you have understood the principles and mastered some basic techniques, you can bring your own inventiveness and creativity into play to adapt this method to suit your style of work and situation. 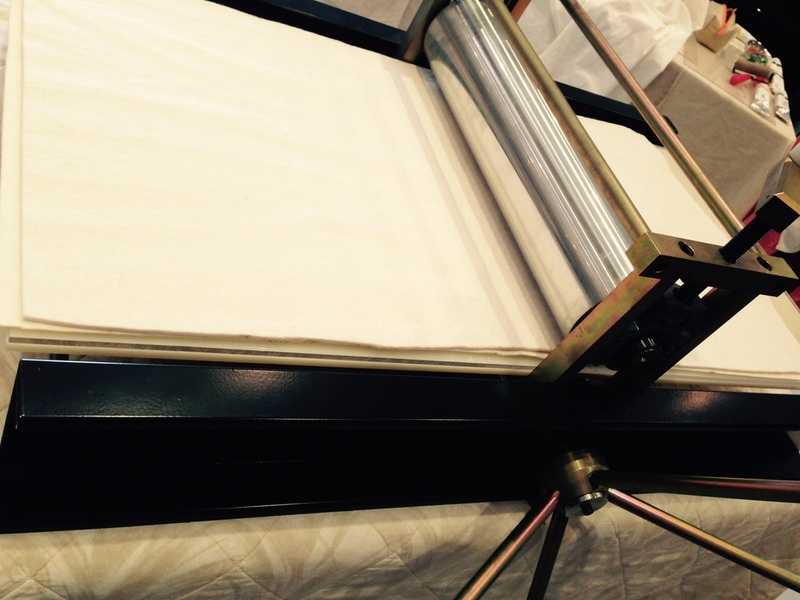 Intaglio printing is done on the studio's roller press, a flat, heavy metal bed suspended between two rollers. 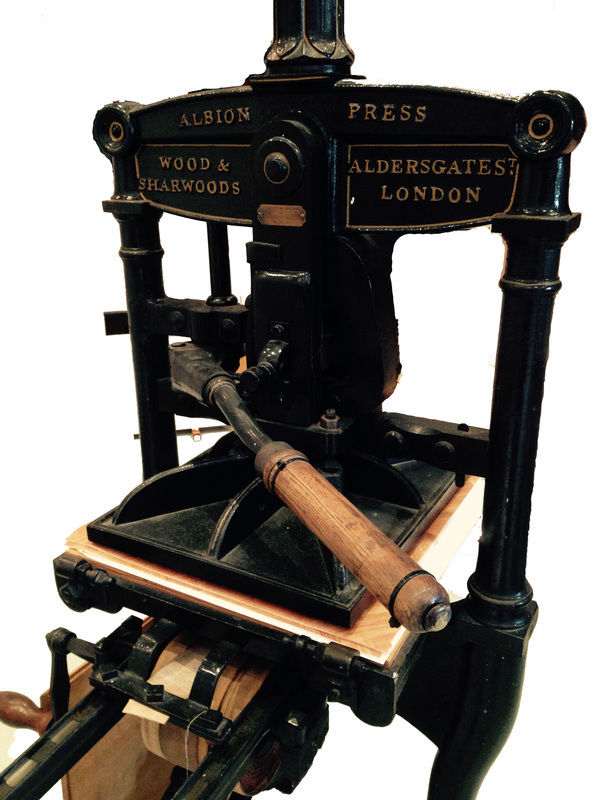 ArtWorld Studio Gallery's Albion Press. Our studio houses an Albion printing press dedicated to seberal printing methods: a relief-printing press giving direct pressure. ArtWorld Studio Gallery focuses on two types of printmaking: etchings, and lino cuts.